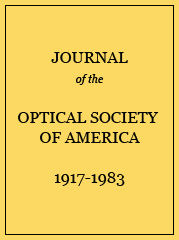 The study by White and Jacobsen of the applicability of the 1964 CIE supplementary observer to large-field colorimetry of the rutile and anatase crystal forms of titanium dioxide has been repeated. The six painted panels used by them were remeasured on a Hardy-type spectrophotometer with closely agreeing results. The arrangement of the panels in order of whiteness by north-sky light was made by 24 observers, yielding 45 arrangements, and these too were in good inverse agreement with the 26 yellowness arrangements made by 13 observers by White and Jacobsen. The spectrophotometric data were reduced to values of U*, V*, W* of the 1964 CIE uniform color space, and the sizes of the chromaticity differences between each panel and the magnesium oxide whiteness standard were computed. By substituting, for CIE illuminant C, the newly recommended CIE illuminants D6500 and D25000, representative of overcast sky and clear sky, respectively, and by taking account of normal variations of amount of lens pigment from one observer to another, we found that the 1964 CIE supplementary observer yields correct predictions of the frequency of the various whiteness arrangements of the six panels. Whiteness ranking of the White–Jacobsen panels by 24 observers, mostly members of the Photometry & Colorimetry Section, National Bureau of Standards. * Corrected, letter of 9 March 1965 from White. Frequency of occurrence of the six possible rankings of panels A, B, C; comparison between Table I (chiefly NBS observers) and Table II (National Lead Company). Estimates of the frequency of the six possible rankings of panels A, B, and C that would have occurred if each of the observers listed in Tables I and II had made 12 rankings. Values of 45°-normal reflectance factor relative to MgO found by photoelectric reflectometry compared to values of 6°-hemispherical luminous reflectance factor relative to MgO computed from the spectrophotometric data of Fig. 1 by means of the 1964 CIE supplementary observer. Illuminant for both sets of values was CIE source C.
Size of chromaticness differences ΔC of the White–Jacobsen panels from magnesium oxide computed from spectrophotometric data in 1964 CIE units for various combinations of observer and light source. Probability of the correct whiteness placement Pc of two panels computed from formulas 6 and 7 as a function of the difference dΔC in whiteness correlate ΔC given in Table VI. Correct whiteness placement means placement in accord with the computed whiteness correlate ΔC. Details of the computation by Eq. (8) of the triadic probabilities from values of the whiteness correlate ΔC shown in Table VI for D6500. The connection between dΔC and Pc is shown in Table VII. Computed probabilities for the six possible triadic arrangements of panels A, B, and C, based on the 1964 CIE supplementary 10° observer and each of six light sources: D6500 and D25000 representing the extremes of north-sky light, D6500 modified by len-pigment greater than average by one unit, and less than average by one unit, and D25000 modified by lens pigment greater than and less than average by one-half unit. One unit of lens pigment is that found by Ludvigh and McCarthy15 for the 21.5-year-old observer.